The corporate world continues its vitriolic but insubstantial attacks on the Labour Party leader whose approach threatens their unreasonably affluent lifestyles. Will increasingly media-sceptical people who seek the common good be affected by them? Arms trade: Steve Beauchampé – “A peacenik may lay down with some unsavoury characters. Better that than selling them weapons”. The media highlights Corbyn’s handshakes and meetings, but not recent British governments’ collusion in repressive activities, issuing permits to supply weapons to dictators. In the 80s, when lobbying Conservative MP John Taylor about such arms exports, he said to the writer, word for word: “If we don’t do it, someone else will”. Meaning if we don’t help other countries to attack their citizens, others will. How low can we sink! Reader Theresa drew our attention to an article highlighting the fact that the Specialised Healthcare Alliance (SHCA), a lobbying company working for some of the world’s biggest drugs and medical equipment firms, had written the draft report for NHS England, a government quango. This was when the latest attempt at mass-medication – this time with statins – was in the news. Most construction entries related to the PFI debacle, but in 2009 it was reported that more than 100 construction companies – including Balfour Beatty, Kier Group and Carillion – had been involved in a price-fixing conspiracy and had to compensate local authority victims who had been excluded from billions of pounds of public works contracts. The Office of Fair Trading imposed £130m of fines on 103 companies. Price-fixing that had left the public and councils to “pick up the tab”. In Utility Week News, barrister Roger Barnard, former head of regulatory law at EDF Energy, wondered whether any government is able to safeguard the nation’s energy security interests against the potential for political intervention under a commercial guise, whether by Gazprom, OPEC, or a sovereign wealth fund. He added: “Despite what the regulators say, ownership matters”. The Office of Fair Trading was closed before it could update its little publicised 2010 report which recorded that 40% of infrastructure assets in the energy, water, transport, and communication sectors were already owned by foreign investors. A Lancashire farmer believes that supermarkets – powerful lobbyists and valued party funders – are driving out production of staple British food supplies and compromising our food security. She sees big business seeking to make a fortune from feeding the wealthy in distant foreign countries where the poor and the environment are both exploited. These ‘greedy giants’ are exploiting the poor across the world and putting at risk the livelihoods of hard working British farmers, their families and their communities. She adds that large businesses are gradually asset-stripping everything of value from our communities to make profits which are then invested abroad in places like China and Thailand. Government resistance to funding long-term out of work illness/disability benefits followed the publication of a monograph by the authors funded by America’s ‘corporate giant’ Unum Provident Insurance which influenced the policy of successive governments. After various freedom of information requests, the DWP published the mortality figures of the claimants who had died in 11 months in 2011 whilst claiming Employment and Support Allowance, with 10,600 people dying in total and 1300 people dying after being removed from the guaranteed monthly benefit, placed into the work related activity group regardless of diagnosis, forced to prepare for work and then died trying. Following the public outrage once the figures were published, the DWP have consistently refused to publish updated death totals. Information touched on in this 2015 article has been incorporated into a ResearchGate report identifying the influence of Unum Provident over successive UK governments since 1992, the influence of a former government Chief Medical Officer and the use of the Work Capability Assessments conducted by the private sector – described as state crime by proxy, justified as welfare reform. The powerful transport lobby prevents or delays action to address air pollutants such as ground-level ozone and particulates emitted by cars, lorries and rail engines which contribute directly to global warming, linked to climate change. They emit some common air pollutants that have serious effects on human health and the environment. Children in areas exposed to air pollutants commonly suffer from pneumonia and asthma. A recent whistleblower report records that Dr Raj Mattu is one of very few to be vindicated and compensated after years of suffering. The government does not implement its own allegedly strengthened whistleblower legislation to protect those who make ‘disclosures in the public interest’. This media article relates to the mis-reporting of the Obama-Corbyn meeting: there are 57 others on this site. Rewards for failure cover individual cases, most recently Lin Homer, and corporate instances: Serco and G4S were bidding for a MoD £400m 10-year deal, though they had been referred to the Serious Fraud Office for overcharging the government on electronic monitoring contracts. Another contender, Capita, according to a leaked report by research company Gartner was two years behind schedule with its MoD online recruitment computer system – yet the government had contracted to pay the company £1bn over 10 years to hire 9,000 soldiers a year for the army. The 74th instance of the revolving door related to Andrew Lansley’s move from his position as government health minister to the private health sector. An investigation by the Mail found that one in three civil servants who took up lucrative private sector jobs was working in the Ministry of Defence: Last year 394 civil servants applied to sell their skills to the highest bidder – and 130 were MoD personnel. Paul Gosling describes how the Big Four accountancy firms have PFI ‘under their thumbs’ and gives a detailed list of those passing from government to the accountancy industry and vice versa. Steve Beauchampé asks if the barrage of criticism apparently aimed at Jeremy Corbyn is more about undermining the politics he stands for which are probably less far to the left than those of many in the current government are to the right. Most political commentators and opponents aren’t worried that Labour will win a General Election under him, but they are alarmed that the movement his leadership has created might one day lead to an electable left winger. The protest organisers say the government’s proposed Sustainability Transformation Plans (STPs) across the NHS in England are a “smokescreen for further cuts” and the “latest instruments of privatisation”. These proposals involve the complete closure of some hospitals and the centralising of some services such as A&E and stroke care on fewer sites. Deputy chairman of the British Medical Association council Dr David Wrigley said the march was “a cry for help for anyone who uses the NHS” which was “in such a desperate situation. We need to highlight it. As a doctor I see day to day the serious pressures in the NHS due to the funding cuts from the government”. Strangest of all, the Times and FT (online editions) decide not to mention the demonstration. The Times online did not carry its usual daily onslaught on Corbyn and the Financial Times online which regularly publishes biassed articles about JC – often by Jim Pickard – has no reference, merely a bland, skimpy article by David Laws: “UK reaches socially acceptable limits of austerity . . . the NHS needs a settlement which allows for rising demand and an ageing population”. Their carefully selected and daily shown photographs and cartoons of the Labour Party leader are not to be seen? What does this mean? Steve Beauchampé sends a welcome lead, enabling Labour MP Barry Gardiner to be added to Political Concern’s ‘Admirable politician’ category – the first since May 2014, when MEP Molly Scott Cato was featured as the 7th. Steve’s link to a Sunday interview on Sky News was accompanied by the comments that “(Gardiner) handles the interview with ease, batting away her questions. I increasingly find him arguably the most impressive member of the Shadow Cabinet”. As Shadow Secretary for International Trade, Barry Gardiner spoke to Sophy Ridge on her Sunday politics programme about Labour’s difficult week following the Party’s Copeland by-election loss. Calmly and with authority, he discussed the nuclear issues affecting the Copeland vote and Jeremy Corbyn’s misrepresented position on nuclear power. He spoke compellingly on Labour’s forcefully expressed parliamentary concerns about new proposals for business rates, funding formulas and disability benefits – later moving on to analyse the divisive effect of Brexit. This positive news brought to mind that a few hours earlier, listening to the Sunday repeat of Question Time, Labour’s shadow minister for education Angela Rayner was outstanding. She becomes the 9th admirable politician. She had all the relevant facts at her fingertips and was able to present them in a way which confounded Conservative minister Justine Greening – no mean feat. The Telegraph reports that some of her Conservative opponents have asked whether she has the qualifications to fulfil her responsibilities as shadow education secretary. “I may not have a degree – but I have a Masters in real life,” she replied. Angela grew up on a Stockport council estate, brought up by a mother who couldn’t read or write. Her life was, she has said, heading in the wrong direction until: “Labour’s Sure Start centres gave me and my friends, and our children, the support we needed to grow and develop”. And without the NHS, she proclaims, her son Charlie, who was born prematurely, would not be alive today. Barry and Angela are some of Jeremy Corbyn’s most able colleagues – towers of strength. New readers: a search will reveal that in order of date, starting with MEP Molly Scott Cato in 2014, the other admirable politicians featured were John Hemming, Andrew George, Margaret Hodge, Tony Benn, Salma Yacoob and Irish senator David Norris. Professor Raymond Tallis, served as a doctor and clinical scientist. He has worked as an adviser to the Chief Medical Officer and served as with the National Institute for Clinical Excellence. A Fellow of the Academy of Medical Sciences and the Royal College of Physicians, he minces no words: “Jeremy Hunt has blood on his hands”. In a scathing essay, Professor Raymond Tallis explained why he believes the Health Secretary, Jeremy Hunt, is destroying the NHS – through creeping privatisation, spending cuts, media storms and a simple lack of understanding. He quotes from a pamphlet co-authored by Hunt in 2005, “Our ambition should be to break down the barriers between private and public provision, in effect denationalising the provision of healthcare in Britain.” In 2005, and again in 2008, he called for the de-nationalisation of the NHS and for a US-style insurance scheme. In the light of Jeremy Hunt’s CV, Tallis finds it easier to understand his approach: “After leaving university, Mr Hunt established a marmalade exporting business that failed. He then moved to something less sticky and established, first of all, an IT PR company and then Hotcourses, an agency that lists courses for people who want to improve their work prospects or to follow a hobby. It made Mr Hunt a wealthy man and so freed him to enter politics. Though being a millionaire did not discourage him from over-claiming on his parliamentary expenses or from avoiding £100,000 tax in a way that shocked even The Daily Telegraph”. He cites Hunt’s preference for the private sector, expressed in his disastrous decision (when he was Culture, Media, and Sport Secretary) to hire G4S to oversee security at the London Olympics, with the result that the Army had to be called in. Tallis reminds us that the Coalition agreement guaranteed an increase in NHS funding in each year of the Parliament. There was a dip in health expenditure in the first two years of the Coalition and then a 0.8% annual growth. He continues: “Due, however, to the increase and ageing of the population served, developments in medicine, and government-set targets for increasing staffing levels and the provision of treatments, the demand on the NHS has risen by 4% per annum. The proportion of GDP spent on healthcare fell by nearly 1% in five years after 2010 to 7.3% – contrasted with 11% for Germany and France. It is due to fall to 6.6% by 2020”. Unsurprisingly, hospitals had racked up a £2bn deficit by the end of 2015 and are heading for a financial crash. They have now been instructed to cut staffing levels and this will ensure that care will deteriorate further”. and on the failure of local authorities to provide those services that will prevent patients being trapped in hospital with nowhere to go. The Care Quality Commission is headed by Lord Prior, formerly deputy chair of the Conservative Party. Its expensive, time-consuming inspections of GP surgeries and hospitals, have been of enormous benefit to Hunt’s mission. Prior cited Circle’s spectacular success with Hinchingbrooke – though shortly after the arrangement collapsed and Circle ditched the Huntingdon hospital and though scandals have been emphasised, Tallis believes that there is still much work needed to undermine confidence in the NHS, “because the vast majority of the population (especially those who owe their lives and limbs to it) still think very highly”. Hunt’s use of studies reporting that death rates are higher in patients admitted at weekends than on weekdays is then criticised: “As the authors of the studies repeatedly emphasised, it is not easy to be sure of the reason for the excess mortality. An obvious contributory factor is that weekend admissions tended to be emergencies of more acutely ill patients. Subsequent studies showed the “weekend effect” to be largely illusory. The headline data provided a political opportunity too good to miss . . .”. Mr Hunt’s solution: a 24/7 NHS, as an urgent clinical necessity and moral imperative, but without specifying any additional resources, though the Department of Health estimated that it would cost just under £1bn annually and require 11,000 extra staff, none of which was forthcoming). Open, but not yet sufficiently resourced (in particular staffed). Financially challenged trusts had no money to hire extra staff, even if they were available – and this despite a virtual pay freeze for six years. As of 2016, 40% of hospital consultant posts are vacant and increasing medical staff would not be enough: nurses, lab staff, radiographers, porters, would all be a vital part of a full 24/7 service. “Alarmed by Mr Hunt’s self-serving emphasis on how dangerous hospitals were at weekends, some patients postponed presenting themselves or their children until Monday. Patients with strokes and even one or two individuals awaiting transplant, for whom a compatible organ had become available, also held back. This was called “The Hunt Effect”. Spin has real consequences that cannot be spun away. Mr Hunt’s wagging index finger has blood on it”. Much of the media is taking its usual stance referring to Jeremy Corbyn’s ‘handlers’ as though he were a pit bull terrier. The Times has determined that he was making a bid to relaunch his leadership which has been derailed and Jim Pickard in the FT, author of many hostile articles, focusses on pay caps but not pay ratios. It is very clear he wants top execs pay to reflect that of the lowest paid worker for them to earn more and not rely on tax payers to boost their salaries and for the top execs to earn a decent salary but nor one that is obscene (sadly so many Tories want to see the poor get poorer and the rich richer). He also wants to ensure that we continue to bring in workers when needed but ensure they don’t depress wages for British workers. Of course those at the top getting obscene salaries want to disgrace Corbyn because the last thing they want is for their salaries to fall under £500,000 a year. There’s big and there’s obscene especially when they are telling others to tighten their belts, can’t afford to pay you more then handing themselves 7 and 8 figure salaries and bonuses. What shows double standards are all those commenting on here who think salaries of over £100,000 a year are too much if somebody is running the NHS, a local authority or running a Union. I do find it difficult to understand how anybody can find the policies which have allowed so many workers to have their wages and working conditions deteriorate whilst CEO’s are paying themselves up to 700x the salary of their employees as being fair and something they’d support. I would add that labour to their shame played an important part in allowing these obscene differentials since Maggie was in office. Some of them thought £500,000 a year for them and their friends was not enough. Yes Corbyn needs to keep shaming all those, including some labour MP’s who’ve happily supported the policy of “austerity” that have hit the poorest whilst allowing the richest to continue to get richer. I’d support a return to the differentials back in the days of Maggie. Top execs back then were hardly struggling. 20x / 30x acceptable 700x isn’t! 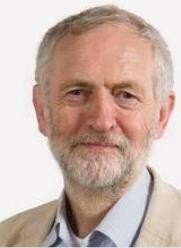 “Unite around Jeremy Corbyn’s ten point programme, which proposes the building of one million homes in five years, a free national education service, a secure, publicly provided NHS, with an end to health privatisation, full employment, an end to zero hours contracts, security at work, action to secure an equal society, a progressive tax system, shrink the gap between highest and lowest paid; aim to put conflict resolution and human rights at the heart of foreign policy. On the last point, as the wars waged or aided by the West are the cause of mass immigration, we must step up foreign aid and instead of spending £37bn a year on foreign wars as our government does, invest in helping to rebuild these war torn countries”. Read Maisie’s article in full here. A Solihull reader draws attention to a major investigation by Pulse, the leading publication for GPs in the UK, which has revealed that private companies are boosting their profits by up to 100% as the health service struggles to cope. An analysis of company reports and statements from all the major private hospital chains that make their figures available shows all have boosted their revenues this year. They say they are gaining from the plight of the NHS, with patients more likely to pay for their care to avoid lengthening NHS waiting lists, which have led to 3.7 million NHS patients wait for treatment – the most since December 2007. The investigation – the most comprehensive since the introduction of the Health and Social Care in 2012 – also shows that local commissioners are paying hundreds of millions to private hospitals and that hospitals have also boosted their income from private work. It comes as Pulse yesterday reported that one private GP firm is expanding its service which promises to deliver a GP to patients’ doorsteps in 90 minutes for £120 – one of a number of companies taking advantage of long waiting times for GP appointments. General Practitioners Committee (GPC) leaders say the Government is undermining the NHS in favour of the private sector through ‘scandalous’ underfunding, and ‘sleepwalking’ us towards a US-style health insurance system. But GPC chair Dr Chaand Nagpaul says the rise in private use ‘represents a clear diversion of funds out of the NHS and into the private sector’: “In many cases private providers will cherry-pick low-risk patients, adding further strain onto impoverished NHS hospitals caring for patients with greater morbidity. This is unfairly undermining the NHS in favour of the private sector”. There’s been enough of heated opinion lately- so let’s just serve cold hard facts. 96% of doctors work in wards with nurse shortages. Around 25% of the doctor workforce are non-UK, and 10-15% of all NHS staff. We are well below the European average in hospital beds per person and doctors per person in the NHS as we are – yet Jeremy Hunt plans to push away up to a quarter of the workforce and cut the training budget. He has no plans to actually address the drop in ‘homegrown’ talent already, a direct repercussion of Hunt’s own morale plummeting war against the profession and yet Theresa May claims that this year was one of the most successful yet for the NHS. He sees, on one side the government and their appointed spokespeople, scrambling to assuage a newly anxious population with the soothing language of consolidation, reconfiguration, efficiency, and modernisation masking service cuts, lost beds and staff lay-offs and on the other, a variety of campaigning groups, doctors and politicians, “using an array of evidence to carefully unpack these reconfiguration fantasies”. Reduced provision will lead to better provision – really? The scale and imminence of cuts advocated and the PR, which has ‘critically departed from reality’ is shocking health professionals. It is reported that, in Dorset, the new Sustainability and Transformation Plan (STP) suggests that a ‘reduction in the number of sites’ would lead to a better provision of services ‘for more hours of the day and days of the week’. Dr Walker continues: “In Hampshire and Isle of Wight, commissioners are planning to make general practice more sustainable by cutting GP workload by almost a third, while also significantly reducing patients’ face-to-face contact with primary care . . .
“No amount of PR window dressing and STP gobbledegook will ever convince anyone that removing beds, services, A&E units and GP surgeries is going to lead to better patient care. Indeed the way in which STP plans are wrapping the extraordinary shrinking of our NHS in the language of better patient care has now stretched incredulity to a truly insulting level. Read Dr Walker’s article here: http://nhap.org/friday-surgery-21/ and consider taking the recommended action. Next: NHA news about the ‘revolving door’ at work in shaping the future of the NHS. I have been a Liberal Democrat for the past twenty four years, however last March a chain of events started that has persuaded me it is time to change. When my grandmother was put onto the Welsh NHS’ waiting list for a hip operation, I was fully aware that she would have to wait at least eighteen months. But what I was not aware of was just how painful the condition was. She was forced into a position where her only option was to have private treatment. Although the operation was a success she was discharged without being completely tested for after effects. That treatment was to lead to complications which meant she was admitted as a patient to the NHS, after all. The NHS is obliged to provide emergency treatment but its underfunding is restricting its ability to provide a timely service to the public. It is clear to me that a market for the private sector is being opened up. “I was elected as a Liberal Democrat community councillor in Ceredigion but worry that, because the money for the NHS comes from Westminster, the Welsh service is in desperate need of help that the Assembly has little control over. Dr Clive Peedell the NHA party leader (above) said, “We are delighted by Cllr Hayfield’s decision. We do not want to see the NHS in Wales – or in Scotland – following the same route as in England. We were very disappointed to hear Leanne Woods talking before the Welsh Assembly elections about creating lean organisations, bringing in the private sector and tightening up the public sector. This sounds worryingly like the language of someone who has accepted George Osborne’s austerity agenda. Progressive politics recognises the importance of a clear distinction between public service and private business. Investing in the NHS as a public service brings rewards to the greater economy, it is not a drain. Cllr Hayfield wants to use his change of party to highlight that distinction, to make people realise that better services cannot be provided under a constant regime of cuts and change. The NHS in all the UK’s countries needs stability, public provision and decent funding. Cllr Hayfield will be making a public statement, which we support, about his change of party. If there are 10 people from his electoral area who object to his change of party then he will stand down and campaign for his community council place under his new colours. We hope his local electorate will understand and respect his reasons for change and allow him to help the NHA to highlight the danger our NHS faces from underfunding and privatisation.